Karen Eberwein, PsyD, spoke with Dr. Lise Motherwell about her ideas on the role of play, metaphor, and evocative objects in group psychotherapy. KE: How did you become interested in the role of play in group psychotherapy? LM: I first became interested in play while I was a graduate student at MIT before I became a psychologist. I was in a department that brought together people from interdisciplinary programs to think about how computers would be used in the future. I worked with a group that was then called Learning and Epistemology. My professor, Seymour Papert, the developer of a children’s computer programming language, LOGO, and a mathematician was interested in how people, particularly kids, use objects to think with. In contrast to someone like Piaget, he was very focused on how affective engagement as well as cognition contributes to how people learn. In class he gave us lots of puzzles to solve and got us to think about our own thinking. 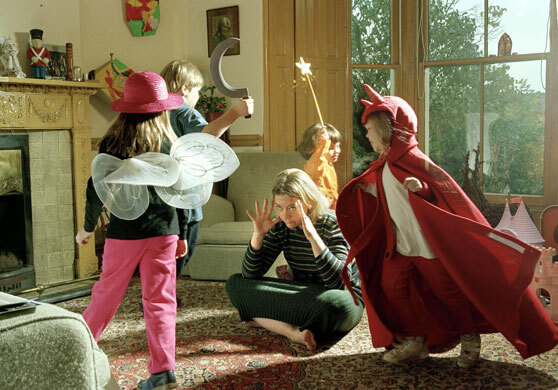 Later when I became a child therapist I found myself fascinated by how children express their inner conflicts through play. Children use concrete objects to think about really abstract issues. As I thought more about play over the years, I realized how consistent ideas about play are with notions of effective group therapy. A lot of the concepts are very similar and I found what works in play works in group therapy. Also, I have been impressed with how group members, even in the face of terrible psychic pain, are able to be playful and to use humor. Their playfulness is connecting, healing, and builds on their strengths. KE: What theories provide the basis for your work as a group therapist; in particular, when considering the themes of Play, Metaphor, and Evocative Objects? LM: My favorite author in the field is Winnicott. His theories of creativity and play are most salient for me. He was a pediatrician before he became an analyst and very interested in child development. I also like the work of Lenore Terr, a psychiatrist and an expert on childhood trauma. She wrote a book about adults and said that the ability to play is as important for adults as the ability to love and to work. I have certainly found that to be true and have seen that many adults lose their ability to play as they get older. They may consider play to be doing sports or going to the gym, but they do not really engage in the kind of creative and free play that kids do. And the third person who has informed my work is Sherry Turkle, a psychologist and sociologist, who has written a lot about evocative objects. Her work stems from object relations theory, Piaget’s theories of learning, and Papert’s work with physical objects. KE: Attempting to define play is a fairly complicated task but standard (dictionary.com) definitions imply action, activity or engagement; possibly mimicry, and usually amusement. How do you define play? And, can you introduce us to how your definition may or may not be consistent with traditional definitions? LM: My current favorite definition is to “Cause to move or operate freely in a defined space.” This reflects my belief that to play one needs freedom but also boundaries. I’m not sure my definition is that different from others’, but what is different is my connecting it to ideas about group therapy, which is what I will present. I think in order for people to gain from being in group therapy there needs to be freedom to be oneself and to try out different ways of being oneself. There also needs to be some real boundaries about how that happens, which creates a natural play space. Much of what we know about group therapy sets the stage for that kind of play. What is different about what I’m doing is not changing the definition of play but applying it to the group therapy space and talking about what that might look like. When I talk about play, I don’t necessarily mean physical activity, toys, or games; I am also referring to an atmosphere that allows for the freedom to be creative and imaginative. There are lots of forms of play–playing with metaphor, humor, verbal banter. KE: You work with children, adolescents, and adults; in the context of play, what has your work with each taught you about the other? LM: Many of my colleagues are afraid to or don’t like to work with children and adolescents, but I think that therapists really lose out when they only work with adults. Working with children changes the way you think about and work with adults. First, I am much more attuned to adults’ use of metaphor, humor, symbolism, and visual imagery in their work. I encourage the creative use and expression of the self, because I think that’s how people figure out who they are, which goes to Winnicott again and his notions of finding out who you are through play and creativity. Second, in working with children, one sees different developmental phases and you can often see theory in action. I saw a kid once who was having a terrible time making friends at a new school. She came into my office and began sobbing. I began to tell her a story, almost like I was reading her a book. We then wrote a book about making friends. The next week her mother told me that her daughter had told her she cried in my office. The mother asked her daughter whether I had hugged her. Her daughter said, “No, but her words felt like hugs.” You can’t get more Winnicottian than that! When one works with adults one can then see where they are developmentally. In my adult work, I don’t use physical objects very often, which I almost always do with young children. Teens will talk, but often talk more easily if one plays cards or chess with them. The physical activity seems to free them up to talk more openly. But with all, I try to encourage the creative use of the self. KE: What are the challenges you have experienced working with play and evocative objects in group therapy? LM: When people hear that we are going to play in group they think about playing with toys and games; and I think about play as a stance rather than physical activity so I have to remind people of what I am talking about. Also, humor and playfulness are connecting but can sometimes be a defense against pain that can keep people from going deeper–the obvious being someone who always jokes when darker affect is showing up. While that can help some accept those feelings it also can keep people from experiencing them in other ways. The balance I am trying to strike in doing this work is helping people express the darker feelings and helping them metabolize them in ways that aren’t so painful. KE: How should conference participants prepare for the conference weekend? LM: I ask individuals to be curious, self reflective and to use their thoughts, feelings, and fantasies to learn about others during the weekend. I would encourage people to take a playful stance and to try to be open minded to the ideas that I am talking about. Hopefully people will be able to use some of the concepts in the process and demo groups. I have had participants write me after conferences and tell me that they have taken a different stance with their clients the following week; so, it does filter into therapy. Sometimes it may take a little while to sink in before one uses it. KE: What do you hope conference participants take away from your presentation? LM: I hope a sense of rejuvenation, a different way of thinking about group therapy and play in group therapy. Also, perhaps that they can take some risks they hadn’t before. Part of learning to play or being in a play space is taking risks. This gives people a chance to learn about parts of their selves that they just don’t know about. KE: Thank you very much for introducing us to your work. We look forward to your conference presentation and demonstration in Charlottesville.